Monique Banks, Director: I’m from Baltimore, Md. 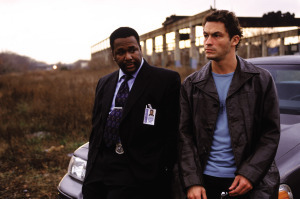 The Wire has always been one of my favorite tv dramas. It was based on and filmed in the city that I was born in. It was a show that everyone could relate to through the story’s realistic depiction of the typical struggles in a major inner city: the failed school system, corrupt politicians, the drug epidemic that’s taking the lives of so many. Baltimore has reached an all time high in the number of murders in the past 7 months. The greatest contributing factor is the drug epidemic, gangs, and turf wars. The stage play sends a powerful message to audience members that we all have to be accountable in taking back our communities. We have to provide safe havens for our children to grow up in, we have to educate ourselves to provide a better life for ourselves and loved ones. We have to fight to create jobs for those who have felonies on their record so that they aren’t compelled to sell drugs. We have to create better relationships with the police department, we have to stand as a united front to make our city a better place to live, work, and raise families. Q: What was the most difficult part of putting this together? Q: What has it been like taking on the role of Avon Barksdale? Darius “Brawl” Shelton (Avon): Well, first of all, I know that it’s some pretty big shoes to fill; following behind THE Avon Barksdale [R.I.P] and Wood Harris. All in all, I would say that I’m honored to have such a privilege. I knew early that I would have to put my all in, step up, and represent the name/character extremely well. 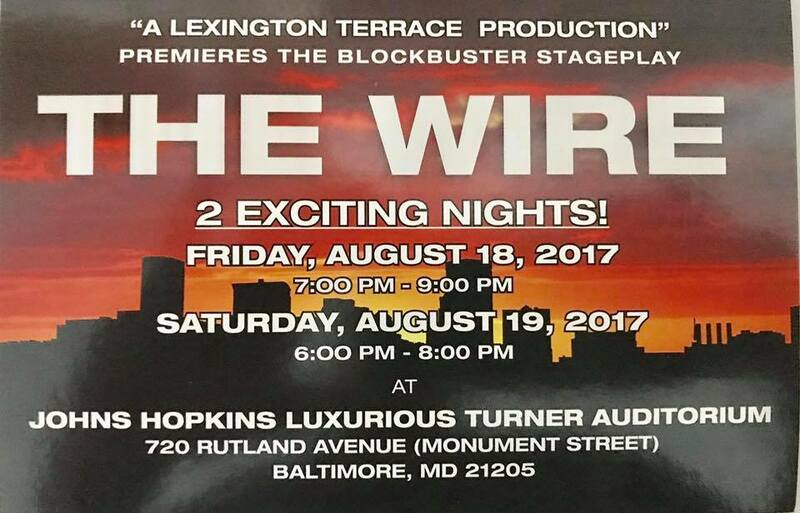 “The Wire: A Stage Play” runs for TWO nights at Johns Hopkins University’s Turner Auditorium.